About 3 000 super-rich have left SA in the past 10 years, according to a new report. Madiba would have been alarmed at the polarisation and hate speech in SA, says Derek Hanekom. Political uncertainty is probably depressing the value of South Africa rand, according to the head of the International Monetary Fund’s Africa department. South Africa’s fiscal and monetary policy has been “as good as it gets,” Abebe Selassie said in an interview in Washington. “It’s more on the structural side that attention is needed. It’s more about getting confidence in the private sector to invest." While most polls are predicting a comfortable win for the ruling ANC under President Cyril Ramaphosa’s leadership in the May 8 general election, he faces difficulties introducing reforms to stimulate the economy, consolidate spending and reduce corruption. Ramaphosa’s rise to power to replace Jacob Zuma after a scandal-ridden tenure of almost nine years initially boosted confidence in the rand, but the currency has slumped back to the levels seen before the change in leadership. 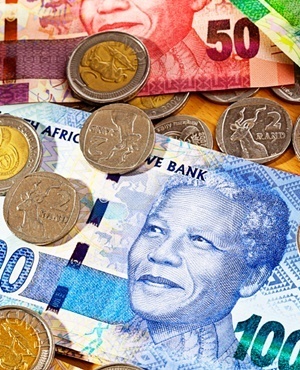 The rand weakened sharply last year as rising interest rates in the US put pressure on emerging markets including Argentina, Turkey and South Africa. The currency has gained about 3 percent against the dollar so far this year. The IMF this week downgraded its forecast for global growth to the slowest pace since the financial crisis. The fund cut its outlook for South Africa to 1.2% growth this year, down from 1.4% projected in January. The fund projects sub-Saharan Africa’s economy will grow 3.5% this year, accelerating to 3.7% next year. Growth in the region is being held back by the relatively slow expansion in major economies including South Africa, Nigeria and Angola, Selassie said. “What we see is continued recovery, but it is a two-track recovery amid uncertainty,” Selassie said.